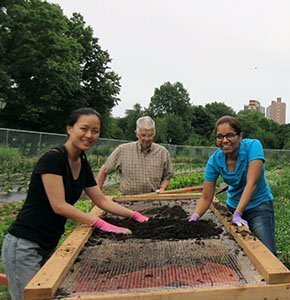 Join the NYC Compost Project to lend a hand at our urban farm or learn how composted food scraps nourish the soil. Find out how to foster a farm ecosystem and grow healthy crops. 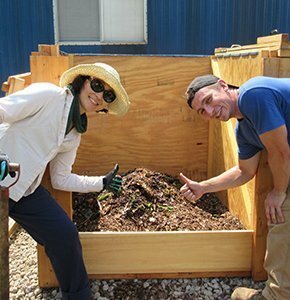 Tasks vary by event, and may include weeding, harvesting, planting activities, processing food scraps, building a compost pile, or sifting finished compost. Volunteers must be at least 16 years old. 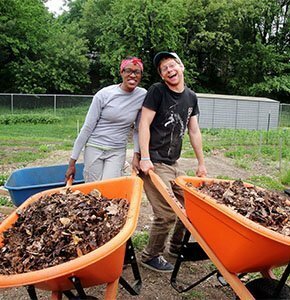 Farm & Compost Volunteer Opportunities are included with garden admission.